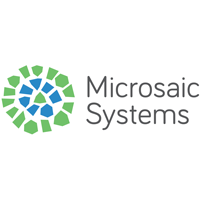 Microsaic Systems Plc (LON:MSYS) CEO Glenn Tracey talks to DirectorsTalk about its recent raising of £5.5m through a successful Placing and PrimaryBid Offer. Glenn explains what the funds will be used for, where the investors came from, the reasoning for using PrimaryBid alongside an institutional placing and what investors can expect from Microsaic throughout 2018. Microsaic Systems plc (LON:MSYS) is a high technology company developing chip-based, bench-top and point-of-analysis mass spectrometry (“MS”) instruments that are designed to improve the efficiency of pharmaceutical R&D. The Company is working with established global life science companies to co-develop new solutions to improve productivity in the development of small molecule and novel biologic (peptides, antibodies) medicines. MS is a powerful method of analysis to enable earlier decision making relating to product identification, purity and bioactivity, and is the analytical technique of choice for biochemists across many industry sectors.